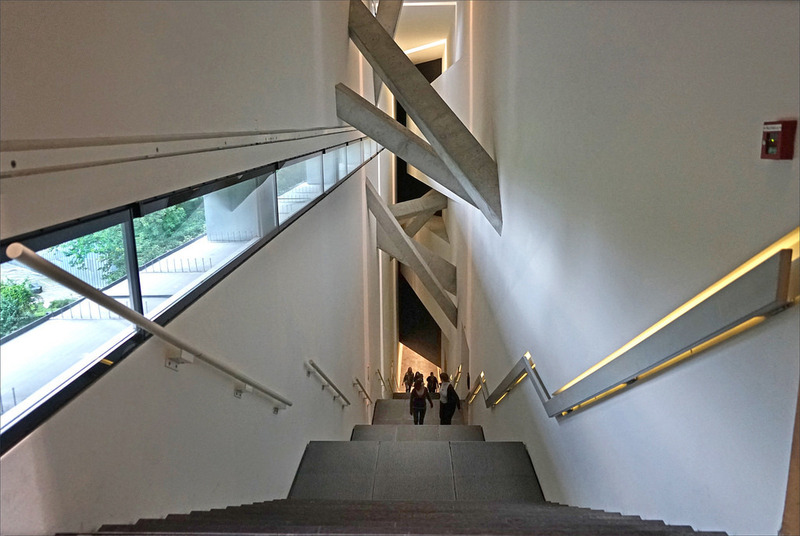 The Sackler Staircase in the Jewish Museum, Berlin. The Jewish Museum in Berlin joins the ranks of art institutions that will no longer accept donations from the Sackler family due to its ties to the pharmaceutical company Purdue Pharma, the manufacturer and distributer of OxyContin. New York’s Solomon R. Guggenheim Museum made a similar announcement last month, one day after Britain’s Tate said it would also reject all future donations from the Sackler Trust. More than six hundred cities, counties, and Native American tribes from twenty-eight states filed a lawsuit in the Southern District of New York last month accusing eight members of the Sackler family, including Richard S. Sackler, Jonathan D. Sackler, Mortimer D.A. Sackler, and Theresa Sackler, of creating the opioid epidemic. Purdue Pharma introduced OxyContin to the market in 1995. The company and its top executives have faced legal action over misleading the medical industry about the risks of the painkiller, and in 2007, it paid out more than $600 million in fines and other payments to resolve criminal and civil charges. Other institutions that have publicly revealed they will refuse future gifts from the family include the South London Gallery, which returned $164,000 to the Mortimer and Theresa Sackler Foundation last year, and London’s National Portrait Gallery, which issued a joint announcement with the Sackler Trust that said the organizations mutually agreed not to proceed with a $1.3 million grant that had been held up since 2016.